Top on the list of the defectors is the Chairman Committee on Rules and Business Rep. Emmanuel Orker-Jev (Benue). Of the 37 defectors, 33 went to the PDP while four others from Oyo state moved to ADC. 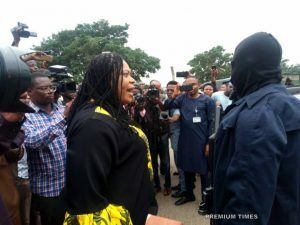 Other prominent members who dumped the APC include: Sani Rano, Barry Mpigi, Ali madaki, Dickson Tackighir, Hassan Saleh, Danburam Nuhu, Mark Gbilah, Razak Atunwa, Ahmed Garba Bichi, Abdulsamad Dasuk and Zakari Mohammed. This is coming after 15 senators in the Senate dumped the APC for PDP. 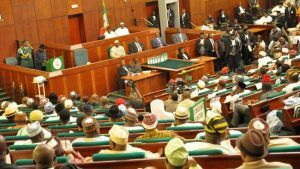 The defection in the house of representatives threw the chamber into a rowdy session as the remaining members of the APC in the House staged a walkout from plenary to address newsmen.